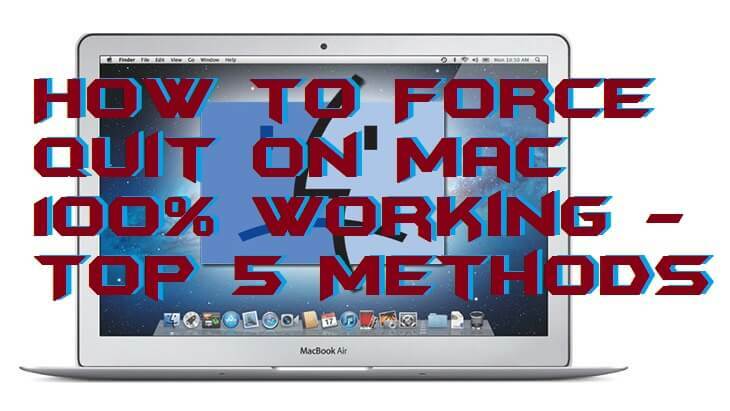 Hello friends, Today I will tell you method on how to Force quit on Mac. Users can quit an application on a Mac. You can force quit any application/software which is not responding on Mac. I have shared 5 different methods to quit mails, iTunes, Safari and all other application on your Mac OS. You can even force quit all these applications or softwares from your Mac. If you need to force quit on Mac because of an app is not working fine then you can learn that how to force quit on Mac. 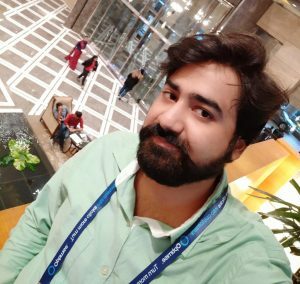 I have shared some best methods to know that how to force quit on Mac. You can take the help of these methods to get to know about how you have to force close an app on Mac. All the ways listed here are very ingenious to follow as well as they are using the inbuilt functionality of Mac OS. However, if any app is making you trouble then use given methods to force quit it. Check out the ways which are listed in this section. Using a keyboard shortcut, you can learn how to force quit on Mac. A keyboard shortcut is the best way to do anything on a PC. Where we don’t have to waste our time on any kind of installation of an app as well as no need to search and open any app on a Mac to force quit an app. So, check the methods from below. Now, choose the app which you want to force quit. Lastly, click on Force Quit button. Activity Monitor is the app which is a pre-installed app on every Mac. We can use it to know that how to force quit on Mac. Force quitting an app will be straightforward if you are using the activity monitor on your Mac. Accessing the Activity Monitor in a Mac is very simple that’s why it the quick way to force quit an app on Mac. Let us go through the method and follow the steps. Then, type Activity Monitor and search. Now, select it from the list. Then, choose the app and click on X button. That’s it. Your wished program has been force quitted. Apple Menu offers some best quick options to the Mac users. Using the Apple Menu, we can learn how to force quit on Mac. It is the fastest way and the best way to force quit an app on the Mac. You can say that this is the cursor method to force quit an app on Mac. So, head up to the below step by step guide and know more about it. Chose the app whom you want to quit. Then, click on Force Quit. This is the very fastest way to know that how to force quit on Mac. In this, we are going to use the dock of a Mac. To access the dock, we don’t have to do anything just one click is completely fine to access it. I have described the way to use the dock to force quit an app on Mac. Check it from below. Press the options button from your keyboard. Right-click on the app in the dock. Lastly, click on Force Quit. The terminal is the command line interface system by which we can use the terminal through some commands. The terminal can be used to know that how to force quit on Mac. However, if you are unknown to the command who can help you to force quit an app then you cant do it? But, using this guide, you will be known to how to force quit on Mac. Head up to the guide and check it now. Type top and press return. Now, choose the program which you want to force quit. Note down the PID of that program. Type q to get out of the program list. Then, you will see a message that program has been killed. Lastly, quit the terminal app. These are some fantastic methods to know how to force quit on Mac. The methods which I have shared above are very simple and straightforward so that it will be easy for you to understand to follow them. Also, all the ways are working nicely. So, use them freely. Above methods do not require any additional things to you so that you can use it quickly. I hope using this article you have now learned that how to force quit on Mac. Share this article with your colleagues also and tell them that how to force quit on Mac.